PLATINUM GRAY METALLIC exterior and TITAN BLACK CLOTH interior, S trim. Smart Device Integration, Bluetooth, DRIVER ASSISTANCE PACKAGE, Alloy Wheels, Turbo, iPod/MP3 Input, Back-Up Camera. FUEL EFFICIENT 40 MPG Hwy/30 MPG City! SEE MORE! KEY FEATURES INCLUDE Back-Up Camera, Turbocharged, iPod/MP3 Input, Bluetooth, Aluminum Wheels, Smart Device Integration. MP3 Player, Keyless Entry, Child Safety Locks, Steering Wheel Controls, Electronic Stability Control. OPTION PACKAGES DRIVER ASSISTANCE PACKAGE Blind Spot Monitor w/Rear Traffic Alert, Heated Side Mirrors, Forward Collision Warning, Autonomous Emergency Braking (AEB) and pedestrian monitoring. Volkswagen S with PLATINUM GRAY METALLIC exterior and TITAN BLACK CLOTH interior features a 4 Cylinder Engine with 147 HP at 5000 RPM*. EXPERTS REPORT Great Gas Mileage: 40 MPG Hwy. BUY FROM AN AWARD WINNING DEALER Lithia is one of America's largest automotive retailers. We are focused on providing customers with an honest and simpler buying and service experience. We are giving customers straightforward information so that they can make confident decisions. We believe that our local communities are our lifeblood. In addition to the employment opportunities we provide in each of our neighborhoods, we also provide contributions to charitable organizations that serve our families, friends, and customers. Plus tax, title, license and $180 dealer documentary service fee. Price contains all applicable dealer offers and non-limited factory offers. You may qualify for additional offers; see dealer for details. NIGHT BLUE METALLIC exterior and TITAN BLACK CLOTH GOLF interior, S trim. Bluetooth, Aluminum Wheels, Turbo Charged, iPod/MP3 Input, Back-Up Camera. FUEL EFFICIENT 33 MPG Hwy/24 MPG City! READ MORE! KEY FEATURES INCLUDE Back-Up Camera, Turbocharged, iPod/MP3 Input, Bluetooth, Aluminum Wheels. MP3 Player, Keyless Entry, Child Safety Locks, Steering Wheel Controls, Heated Mirrors. Volkswagen S with NIGHT BLUE METALLIC exterior and TITAN BLACK CLOTH GOLF interior features a 4 Cylinder Engine with 170 HP at 4500 RPM*. EXPERTS CONCLUDE Great Gas Mileage: 33 MPG Hwy. BUY FROM AN AWARD WINNING DEALER Lithia is one of America's largest automotive retailers. We are focused on providing customers with an honest and simpler buying and service experience. We are giving customers straightforward information so that they can make confident decisions. We believe that our local communities are our lifeblood. In addition to the employment opportunities we provide in each of our neighborhoods, we also provide contributions to charitable organizations that serve our families, friends, and customers. Plus tax, title, license and $180 dealer documentary service fee. Price contains all applicable dealer offers and non-limited factory offers. You may qualify for additional offers; see dealer for details. S trim, PURE WHITE exterior and TITAN BLACK CLOTH GOLF interior. EPA 33 MPG Hwy/24 MPG City! Bluetooth, Aluminum Wheels, Turbo Charged, iPod/MP3 Input, Back-Up Camera. Warranty 6 yrs/72k Miles - Drivetrain Warranty; CLICK NOW! KEY FEATURES INCLUDE Back-Up Camera, Turbocharged, iPod/MP3 Input, Bluetooth, Aluminum Wheels MP3 Player, Keyless Entry, Child Safety Locks, Steering Wheel Controls, Heated Mirrors. Volkswagen S with PURE WHITE exterior and TITAN BLACK CLOTH GOLF interior features a 4 Cylinder Engine with 170 HP at 4500 RPM*. EXPERTS ARE SAYING Great Gas Mileage: 33 MPG Hwy. VISIT US TODAY Lithia is one of America's largest automotive retailers. We are focused on providing customers with an honest and simpler buying and service experience. We are giving customers straightforward information so that they can make confident decisions. We believe that our local communities are our lifeblood. In addition to the employment opportunities we provide in each of our neighborhoods, we also provide contributions to charitable organizations that serve our families, friends, and customers. Plus tax, title, license and $180 dealer documentary service fee. Price contains all applicable dealer offers and non-limited factory offers. You may qualify for additional offers; see dealer for details. Heated Seats, Moonroof, Smart Device Integration, Cross-Traffic Alert, Dual Zone A/C, Turbo Charged Engine. SILK BLUE METALLIC exterior and STORM GRAY LEATHERETTE interior, SE trim. FUEL EFFICIENT 40 MPG Hwy/30 MPG City! READ MORE! KEY FEATURES INCLUDE Sunroof, Heated Driver Seat, Back-Up Camera, Turbocharged, iPod/MP3 Input, Bluetooth, Aluminum Wheels, Keyless Start, Dual Zone A/C, Smart Device Integration, Cross-Traffic Alert, Blind Spot Monitor, Heated Seats. MP3 Player, Keyless Entry, Steering Wheel Controls, Child Safety Locks, Heated Mirrors. OPTION PACKAGES COMBINATION ASSISTANCE KIT First Aid Kit Basic first aid kit for addressing minor injuries, Roadside Assistance Kit, booster cables, warning triangle, LED flashlight, work gloves, multi-tool, and more. Volkswagen SE with SILK BLUE METALLIC exterior and STORM GRAY LEATHERETTE interior features a 4 Cylinder Engine with 147 HP at 5000 RPM*. EXPERTS CONCLUDE Great Gas Mileage: 40 MPG Hwy. OUR OFFERINGS Lithia is one of America's largest automotive retailers. We are focused on providing customers with an honest and simpler buying and service experience. We are giving customers straightforward information so that they can make confident decisions. We believe that our local communities are our lifeblood. In addition to the employment opportunities we provide in each of our neighborhoods, we also provide contributions to charitable organizations that serve our families, friends, and customers. Plus tax, title, license and $180 dealer documentary service fee. Price contains all applicable dealer offers and non-limited factory offers. You may qualify for additional offers; see dealer for details. Heated Seats, Moonroof, Smart Device Integration, Cross-Traffic Alert, Back-Up Camera, Aluminum Wheels, Turbo Charged Engine, iPod/MP3 Input, Dual Zone A/C, Keyless Start. SE trim. FUEL EFFICIENT 40 MPG Hwy/30 MPG City! READ MORE! KEY FEATURES INCLUDE Sunroof, Heated Driver Seat, Back-Up Camera, Turbocharged, iPod/MP3 Input, Bluetooth, Aluminum Wheels, Keyless Start, Dual Zone A/C, Smart Device Integration, Cross-Traffic Alert, Blind Spot Monitor, Heated Seats MP3 Player, Keyless Entry, Steering Wheel Controls, Child Safety Locks, Heated Mirrors. VEHICLE REVIEWS Edmunds.com explains The Jetta feels quick around town thanks to the solid torque output from the turbocharged engine. It also handles curves well, staying controlled and stable.. Great Gas Mileage: 40 MPG Hwy. WHY BUY FROM US Lithia is one of America's largest automotive retailers. We are focused on providing customers with an honest and simpler buying and service experience. We are giving customers straightforward information so that they can make confident decisions. We believe that our local communities are our lifeblood. In addition to the employment opportunities we provide in each of our neighborhoods, we also provide contributions to charitable organizations that serve our families, friends, and customers. Plus tax, title, license and $180 dealer documentary service fee. Price contains all applicable dealer offers and non-limited factory offers. You may qualify for additional offers; see dealer for details. Heated Seats, Moonroof, Smart Device Integration, Cross-Traffic Alert, Back-Up Camera, Aluminum Wheels, Turbo Charged, iPod/MP3 Input, Dual Zone A/C, Keyless Start, Bluetooth. EPA 40 MPG Hwy/30 MPG City! SE trim. AND MORE! KEY FEATURES INCLUDE Sunroof, Heated Driver Seat, Back-Up Camera, Turbocharged, iPod/MP3 Input, Bluetooth, Aluminum Wheels, Keyless Start, Dual Zone A/C, Smart Device Integration, Cross-Traffic Alert, Blind Spot Monitor, Heated Seats MP3 Player, Keyless Entry, Steering Wheel Controls, Child Safety Locks, Heated Mirrors. EXPERTS RAVE Edmunds.com's review says The Jetta feels quick around town thanks to the solid torque output from the turbocharged engine. It also handles curves well, staying controlled and stable.. Great Gas Mileage: 40 MPG Hwy. VISIT US TODAY Lithia is one of America's largest automotive retailers. We are focused on providing customers with an honest and simpler buying and service experience. We are giving customers straightforward information so that they can make confident decisions. We believe that our local communities are our lifeblood. In addition to the employment opportunities we provide in each of our neighborhoods, we also provide contributions to charitable organizations that serve our families, friends, and customers. Plus tax, title, license and $180 dealer documentary service fee. Price contains all applicable dealer offers and non-limited factory offers. You may qualify for additional offers; see dealer for details. Moonroof, Heated Seats, Smart Device Integration, Cross-Traffic Alert, Back-Up Camera, Aluminum Wheels, Turbo Charged Engine, iPod/MP3 Input, Dual Zone A/C, Keyless Start. SE trim. FUEL EFFICIENT 40 MPG Hwy/30 MPG City! SEE MORE! KEY FEATURES INCLUDE Sunroof, Heated Driver Seat, Back-Up Camera, Turbocharged, iPod/MP3 Input, Bluetooth, Aluminum Wheels, Keyless Start, Dual Zone A/C, Smart Device Integration, Cross-Traffic Alert, Blind Spot Monitor, Heated Seats. MP3 Player, Keyless Entry, Steering Wheel Controls, Child Safety Locks, Heated Mirrors. EXPERTS ARE SAYING The Jetta feels quick around town thanks to the solid torque output from the turbocharged engine. It also handles curves well, staying controlled and stable. -Edmunds.com. Great Gas Mileage: 40 MPG Hwy. MORE ABOUT US Lithia is one of America's largest automotive retailers. We are focused on providing customers with an honest and simpler buying and service experience. We are giving customers straightforward information so that they can make confident decisions. We believe that our local communities are our lifeblood. In addition to the employment opportunities we provide in each of our neighborhoods, we also provide contributions to charitable organizations that serve our families, friends, and customers. Plus tax, title, license and $180 dealer documentary service fee. Price contains all applicable dealer offers and non-limited factory offers. You may qualify for additional offers; see dealer for details. Heated Seats, Sunroof, Smart Device Integration, Blind Spot Monitor, Back-Up Camera, Alloy Wheels, Turbo Charged, iPod/MP3 Input, Dual Zone A/C, Keyless Start, Bluetooth. R-Line trim. FUEL EFFICIENT 40 MPG Hwy/30 MPG City! AND MORE! KEY FEATURES INCLUDE Sunroof, Heated Driver Seat, Back-Up Camera, Turbocharged, iPod/MP3 Input, Bluetooth, Aluminum Wheels, Keyless Start, Dual Zone A/C, Smart Device Integration, Blind Spot Monitor, Cross-Traffic Alert, Brake Actuated Limited Slip Differential, Heated Seats. MP3 Player, Keyless Entry, Steering Wheel Controls, Child Safety Locks, Heated Mirrors. VEHICLE REVIEWS Edmunds.com explains The Jetta feels quick around town thanks to the solid torque output from the turbocharged engine. It also handles curves well, staying controlled and stable.. Great Gas Mileage: 40 MPG Hwy. VISIT US TODAY Lithia is one of America's largest automotive retailers. We are focused on providing customers with an honest and simpler buying and service experience. We are giving customers straightforward information so that they can make confident decisions. We believe that our local communities are our lifeblood. In addition to the employment opportunities we provide in each of our neighborhoods, we also provide contributions to charitable organizations that serve our families, friends, and customers. Plus tax, title, license and $180 dealer documentary service fee. Price contains all applicable dealer offers and non-limited factory offers. You may qualify for additional offers; see dealer for details. Heated Seats, Sunroof, Smart Device Integration, Blind Spot Monitor, Cross-Traffic Alert. PURE WHITE exterior and CORNSILK BEIGE LEATHERETTE W/BROWN PIPING interior, 2.0T Wolfsburg Edition trim. EPA 36 MPG Hwy/25 MPG City! CLICK ME! KEY FEATURES INCLUDE Heated Driver Seat, Back-Up Camera, Turbocharged, Satellite Radio, iPod/MP3 Input, Bluetooth, CD Player, Keyless Start, Smart Device Integration, Blind Spot Monitor, Cross-Traffic Alert, Heated Seats. MP3 Player, Keyless Entry, Child Safety Locks, Steering Wheel Controls, Heated Mirrors. OPTION PACKAGES WHEELS & SUNROOF PACKAGE Illuminated Vanity Mirror, Wheels: 18 Twin 5-Spoke, Tires: 18 All Season, Power Tilting & Sliding Sunroof. Volkswagen 2.0T Wolfsburg Edition with PURE WHITE exterior and CORNSILK BEIGE LEATHERETTE W/BROWN PIPING interior features a 4 Cylinder Engine with 174 HP at 5000 RPM*. EXPERTS ARE SAYING Great Gas Mileage: 36 MPG Hwy. VISIT US TODAY Lithia is one of America's largest automotive retailers. We are focused on providing customers with an honest and simpler buying and service experience. We are giving customers straightforward information so that they can make confident decisions. We believe that our local communities are our lifeblood. In addition to the employment opportunities we provide in each of our neighborhoods, we also provide contributions to charitable organizations that serve our families, friends, and customers. Plus tax, title, license and $180 dealer documentary service fee. Price contains all applicable dealer offers and non-limited factory offers. You may qualify for additional offers; see dealer for details. Heated Seats, Moonroof, Smart Device Integration, Blind Spot Monitor, Back-Up Camera. REFLEX SILVER exterior and MOONROCK GRAY LEATHERETTE W/QUARTZ PIPING interior, 2.0T Wolfsburg Edition trim. FUEL EFFICIENT 36 MPG Hwy/25 MPG City! SEE MORE! KEY FEATURES INCLUDE Heated Driver Seat, Back-Up Camera, Turbocharged, Satellite Radio, iPod/MP3 Input, Bluetooth, CD Player, Keyless Start, Smart Device Integration, Blind Spot Monitor, Cross-Traffic Alert, Heated Seats. MP3 Player, Keyless Entry, Child Safety Locks, Steering Wheel Controls, Heated Mirrors. OPTION PACKAGES WHEELS & SUNROOF PACKAGE Illuminated Vanity Mirror, Wheels: 18 Twin 5-Spoke, Tires: 18 All Season, Power Tilting & Sliding Sunroof. Volkswagen 2.0T Wolfsburg Edition with REFLEX SILVER exterior and MOONROCK GRAY LEATHERETTE W/QUARTZ PIPING interior features a 4 Cylinder Engine with 174 HP at 5000 RPM*. VEHICLE REVIEWS Great Gas Mileage: 36 MPG Hwy. WHO WE ARE Lithia is one of America's largest automotive retailers. We are focused on providing customers with an honest and simpler buying and service experience. We are giving customers straightforward information so that they can make confident decisions. We believe that our local communities are our lifeblood. In addition to the employment opportunities we provide in each of our neighborhoods, we also provide contributions to charitable organizations that serve our families, friends, and customers. Plus tax, title, license and $180 dealer documentary service fee. Price contains all applicable dealer offers and non-limited factory offers. You may qualify for additional offers; see dealer for details. Heated Seats, Sunroof, CD Player, Keyless Start, Turbo, WHEELS & SUNROOF PACKAGE, Back-Up Camera, Bluetooth. 2.0T Wolfsburg Edition trim, TOURMALINE BLUE exterior and TITAN BLACK LEATHERETTE interior. EPA 36 MPG Hwy/25 MPG City! CLICK ME! KEY FEATURES INCLUDE Heated Driver Seat, Back-Up Camera, Turbocharged, Satellite Radio, iPod/MP3 Input, Bluetooth, CD Player, Keyless Start, Heated Seats MP3 Player, Keyless Entry, Steering Wheel Controls, Child Safety Locks, Electronic Stability Control. OPTION PACKAGES WHEELS & SUNROOF PACKAGE Illuminated Vanity Mirror, Wheels: 18 Twin 5-Spoke, Tires: 18 All Season, Power Tilting & Sliding Sunroof, FRAMELESS SELF-DIMMING REARVIEW MIRROR HomeLink garage door opener and electronic compass. Volkswagen 2.0T Wolfsburg Edition with TOURMALINE BLUE exterior and TITAN BLACK LEATHERETTE interior features a 4 Cylinder Engine with 174 HP at 5000 RPM*. EXPERTS ARE SAYING Great Gas Mileage: 36 MPG Hwy. 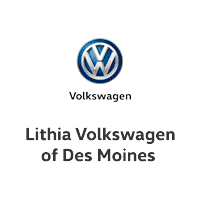 MORE ABOUT US Lithia is one of America's largest automotive retailers. We are focused on providing customers with an honest and simpler buying and service experience. We are giving customers straightforward information so that they can make confident decisions. We believe that our local communities are our lifeblood. In addition to the employment opportunities we provide in each of our neighborhoods, we also provide contributions to charitable organizations that serve our families, friends, and customers. Plus tax, title, license and $180 dealer documentary service fee. Price contains all applicable dealer offers and non-limited factory offers. You may qualify for additional offers; see dealer for details. Heated Seats, Sunroof, CD Player, Keyless Start, Turbo, WHEELS & SUNROOF PACKAGE, Back-Up Camera. EPA 36 MPG Hwy/25 MPG City! PURE WHITE exterior and CORNSILK BEIGE LEATHERETTE W/BROWN PIPING interior, 2.0T Wolfsburg Edition trim SEE MORE! KEY FEATURES INCLUDE Heated Driver Seat, Back-Up Camera, Turbocharged, Satellite Radio, iPod/MP3 Input, Bluetooth, CD Player, Keyless Start, Heated Seats MP3 Player, Keyless Entry, Steering Wheel Controls, Child Safety Locks, Electronic Stability Control. OPTION PACKAGES WHEELS & SUNROOF PACKAGE Illuminated Vanity Mirror, Wheels: 18 Twin 5-Spoke, Tires: 18 All Season, Power Tilting & Sliding Sunroof, FRAMELESS SELF-DIMMING REARVIEW MIRROR HomeLink garage door opener and electronic compass. Volkswagen 2.0T Wolfsburg Edition with PURE WHITE exterior and CORNSILK BEIGE LEATHERETTE W/BROWN PIPING interior features a 4 Cylinder Engine with 174 HP at 5000 RPM*. EXPERTS RAVE Great Gas Mileage: 36 MPG Hwy. WHO WE ARE Lithia is one of America's largest automotive retailers. We are focused on providing customers with an honest and simpler buying and service experience. We are giving customers straightforward information so that they can make confident decisions. We believe that our local communities are our lifeblood. In addition to the employment opportunities we provide in each of our neighborhoods, we also provide contributions to charitable organizations that serve our families, friends, and customers. Plus tax, title, license and $180 dealer documentary service fee. Price contains all applicable dealer offers and non-limited factory offers. You may qualify for additional offers; see dealer for details. Heated Seats, Moonroof, CD Player, Keyless Start, Turbo Charged Engine, Back-Up Camera. FUEL EFFICIENT 36 MPG Hwy/25 MPG City! 2.0T Wolfsburg Edition trim, PLATINUM GRAY METALLIC exterior and TITAN BLACK LEATHERETTE interior READ MORE! KEY FEATURES INCLUDE Heated Driver Seat, Back-Up Camera, Turbocharged, Satellite Radio, iPod/MP3 Input, Bluetooth, CD Player, Keyless Start, Heated Seats. MP3 Player, Keyless Entry, Steering Wheel Controls, Child Safety Locks, Electronic Stability Control. OPTION PACKAGES WHEELS & SUNROOF PACKAGE Illuminated Vanity Mirror, Wheels: 18 Twin 5-Spoke, Tires: 18 All Season, Power Tilting & Sliding Sunroof, FRAMELESS SELF-DIMMING REARVIEW MIRROR HomeLink garage door opener and electronic compass. Volkswagen 2.0T Wolfsburg Edition with PLATINUM GRAY METALLIC exterior and TITAN BLACK LEATHERETTE interior features a 4 Cylinder Engine with 174 HP at 5000 RPM*. EXPERTS RAVE Great Gas Mileage: 36 MPG Hwy. BUY FROM AN AWARD WINNING DEALER Lithia is one of America's largest automotive retailers. We are focused on providing customers with an honest and simpler buying and service experience. We are giving customers straightforward information so that they can make confident decisions. We believe that our local communities are our lifeblood. In addition to the employment opportunities we provide in each of our neighborhoods, we also provide contributions to charitable organizations that serve our families, friends, and customers. Plus tax, title, license and $180 dealer documentary service fee. Price contains all applicable dealer offers and non-limited factory offers. You may qualify for additional offers; see dealer for details. Heated Seats, Moonroof, CD Player, Keyless Start, Turbo Charged, WHEELS & SUNROOF PACKAGE. 2.0T Wolfsburg Edition trim, DEEP BLACK PEARL EFFECT exterior and TITAN BLACK LEATHERETTE interior. FUEL EFFICIENT 36 MPG Hwy/25 MPG City! CLICK ME! KEY FEATURES INCLUDE Heated Driver Seat, Back-Up Camera, Turbocharged, Satellite Radio, iPod/MP3 Input, Bluetooth, CD Player, Keyless Start, Heated Seats. MP3 Player, Keyless Entry, Child Safety Locks, Steering Wheel Controls, Electronic Stability Control. OPTION PACKAGES WHEELS & SUNROOF PACKAGE Illuminated Vanity Mirror, Wheels: 18 Twin 5-Spoke, Tires: 18 All Season, Power Tilting & Sliding Sunroof, REAR TRUNK LID LIP SPOILER. Volkswagen 2.0T Wolfsburg Edition with DEEP BLACK PEARL EFFECT exterior and TITAN BLACK LEATHERETTE interior features a 4 Cylinder Engine with 174 HP at 5000 RPM*. EXPERTS REPORT Great Gas Mileage: 36 MPG Hwy. OUR OFFERINGS Lithia is one of America's largest automotive retailers. We are focused on providing customers with an honest and simpler buying and service experience. We are giving customers straightforward information so that they can make confident decisions. We believe that our local communities are our lifeblood. In addition to the employment opportunities we provide in each of our neighborhoods, we also provide contributions to charitable organizations that serve our families, friends, and customers. Plus tax, title, license and $180 dealer documentary service fee. Price contains all applicable dealer offers and non-limited factory offers. You may qualify for additional offers; see dealer for details. Heated Seats, Moonroof, CD Player, Keyless Start, Turbo Charged Engine, WHEELS & SUNROOF PACKAGE. 2.0T Wolfsburg Edition trim, DEEP BLACK PEARL EFFECT exterior and TITAN BLACK LEATHERETTE interior. EPA 36 MPG Hwy/25 MPG City! CLICK NOW! KEY FEATURES INCLUDE Heated Driver Seat, Back-Up Camera, Turbocharged, Satellite Radio, iPod/MP3 Input, Bluetooth, CD Player, Keyless Start, Heated Seats MP3 Player, Keyless Entry, Steering Wheel Controls, Child Safety Locks, Electronic Stability Control. OPTION PACKAGES WHEELS & SUNROOF PACKAGE Illuminated Vanity Mirror, Wheels: 18 Twin 5-Spoke, Tires: 18 All Season, Power Tilting & Sliding Sunroof, FRAMELESS SELF-DIMMING REARVIEW MIRROR HomeLink garage door opener and electronic compass. Volkswagen 2.0T Wolfsburg Edition with DEEP BLACK PEARL EFFECT exterior and TITAN BLACK LEATHERETTE interior features a 4 Cylinder Engine with 174 HP at 5000 RPM*. EXPERTS REPORT Great Gas Mileage: 36 MPG Hwy. WHY BUY FROM US Lithia is one of America's largest automotive retailers. We are focused on providing customers with an honest and simpler buying and service experience. We are giving customers straightforward information so that they can make confident decisions. We believe that our local communities are our lifeblood. In addition to the employment opportunities we provide in each of our neighborhoods, we also provide contributions to charitable organizations that serve our families, friends, and customers. Plus tax, title, license and $180 dealer documentary service fee. Price contains all applicable dealer offers and non-limited factory offers. You may qualify for additional offers; see dealer for details.